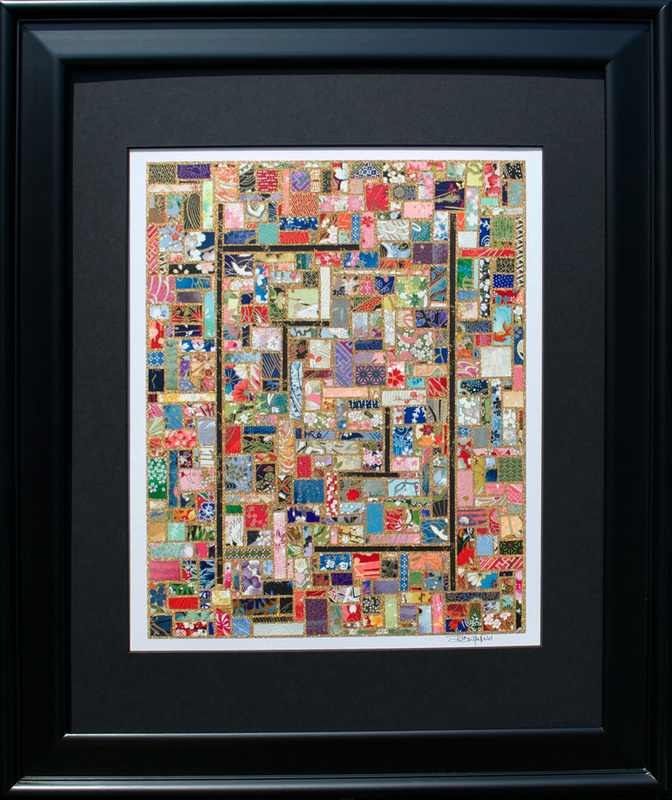 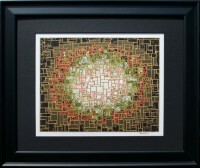 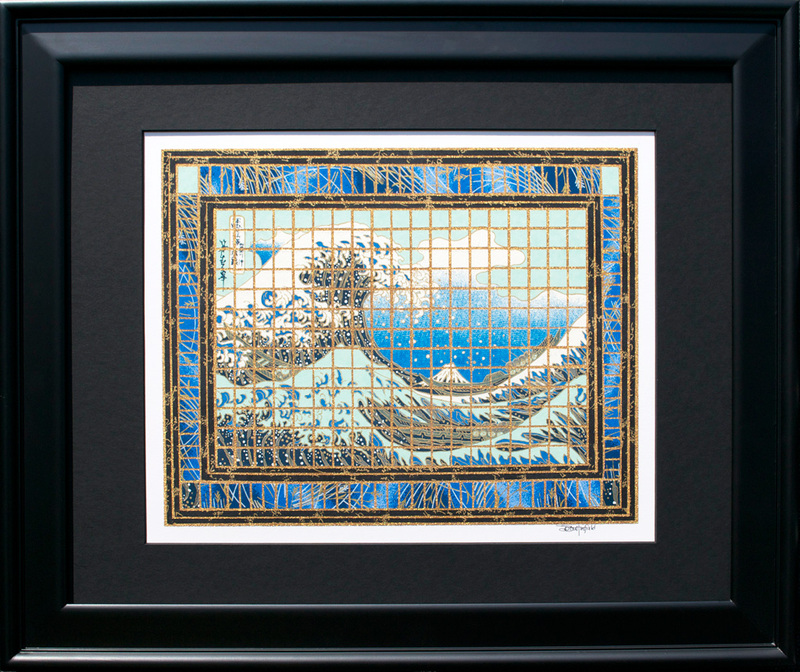 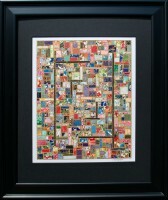 My framed 16×20″ Washi Paper mosaics are matted with 8-ply, 100% black cotton rag mats and placed in solid wood frames. 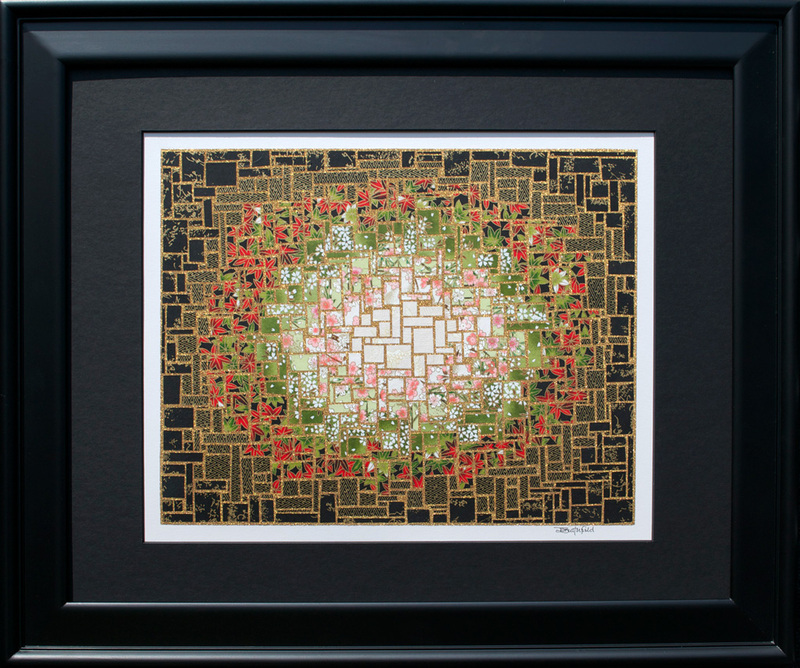 Rather than use the off-the-shelf glass the frames come with, my framed 16×20″ pieces are upgraded to UV protective museum glass that blocks about 99% of the UV rays. 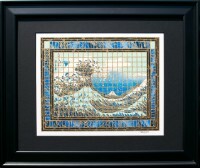 Even with this protection, it is best to display the mosaics out of direct sunlight, just like you would with any piece of fine art.